As part of efforts to instill leadership qualities in the students, the Management of Tai Solarin University of Education, Ijagun, Ogun State recently sponsored the leadership of the Students’ Union Government on a 3-day training tagged: “Future Leadership: Understanding your Roles and Responsibilities as a Student and Youth”. 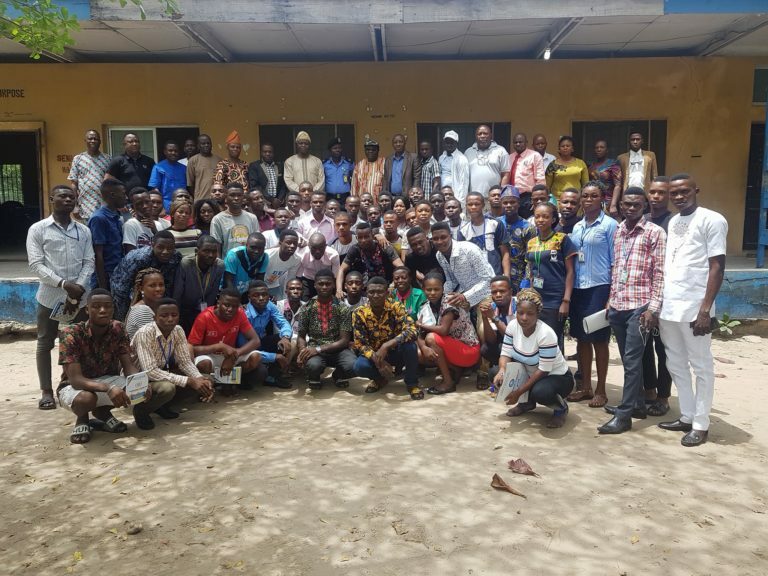 The training which was held at the Citizenship and Leadership Training Centre, Sea School, Apapa, Lagos had in attendance erudite scholars who spoke on diverse areas of Students’ Union Movement. In his welcome address, the Vice Chancellor, Prof. Abayomi Arigbabu said the training was primarily designed to help the student leaders build a better leadership skills for themselves and to train them to be good ambassadors of the University wherever they go. “This training exercise was organised to interact with you; to get you informed and get further enlightenment. Students in the first generation Universities are not superior to you, so we need your support to make the University grow. This is very important and as prospective Alumni, your role is very paramount “, he added. Some of the Guest Speakers include the former President of the Students’ Union Government of Obafemi Awolowo University (OAU), Ile Ife, Osun State, Comrade Adeleke Ademola who spoke on the topic “Intellectualism and Activism; the Assistant Commissioner of Police (Training Wing), Lagos Police Command, Mr. Wale Ajao delivered a lecture on “Security and Safety” while the former SUG President of the University and President of TASUED National Alumni Association, Mr. Oyekanmi Abdullahi spoke on “Emerging Generational Leaders”. In addition to this, the Director of IVOTRA in the University, Prof. B.J.O. Ayorinde delivered lecture on “Nigerian Stdent Movement and Challenges: The Role of Communication” while the Deputy Director (Academic and Quality Assurance) of the University’s DAPQAR, Dr. Jimoh Owoyele spoke on “Discover your Potentials”. However, Dr. Ademola Victor Akinyoade from Afe Babalola University also delved into “Leadership, Conflict and Peace”. The SUG President of the University, Mr. Bamidele Micheal thanked the University Management for the training with a commitment that the entire student populace would continue to cooperate with the Management, without compromising the rights of the students. “This training programme will live for a long time in our memories because it will not only teach us leadership qualities but will go a long way in preparing us for the challenges ahead” he noted. Other members of the Management team at the training includes the Deputy Vice Chancellor, Prof. Wole Banjo, the Ag. Registrar, Mr. Tunji Odutuga, and the Bursar, Mr. Ifeoluwa Odusanya. Others includes the Dean Student Affairs, Prof. Damilola Adejoye, Deputy Registrar (Student Affairs), Mr. Niyi Adesanya, Director, Sports Council, Mr. Foluwaso Onagoruwa, Mrs. Fashina, Mrs. Ogundeji, Mr. Amusa, Mr. Cole and the University PRO, Mr. Bakenne Nureni.